Indeed, 2018 might feel like a distant memory by now, but it was certainly a big year for vaping. 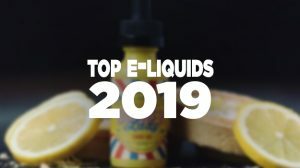 With more brands and flavors hitting the shelves (and online stores) than ever, we’re here to bring you a list of the best e-liquids to buy in 2019. Some are favorites from 2018 you might not have tested out yet, others are from artisanal brands that you probably haven’t heard of yet. The e-liquids superstore has the best juices the world over – fresh from the US, Canada, Malaysia, and the UK. Looking overseas exposes you to new and unusual flavor combinations you might not find at home. Whether you need a heavy duty bottle that’ll last serious vaping sessions or high strength and flavourful nic salt – there’s something there for you. Large bottles of e-liquid that allow you to mix to your preferred nicotine strength, short fills are ideal for greedy tanks and vapers who know what flavors they love. We’ve got a little bit of everything here – from a few dessert inspired ones, to pure fruit and something a just a little bit different. The taste of an English classic that you can vape, Lemon Tart is a happy medium between fruity and dessert. With zingy notes of lemon curd and a soft buttery biscuit base, this fan favorite is a delicious after dinner vape with none of the calories. Added bonus with this one: it’s also available in a 50:50 ratio and a nic salt for your mouth-to-lung vapers. Made in the States, Milkshake Man’s Strawberry Milkshake harks back to the 1950s style diners. Another dessert style vape that will appeal to fruit and cream fans alike, it combines a fresh note of juicy strawberry with a rich and frothy cream. 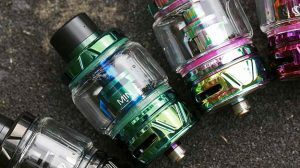 The 70:30 VG to PG ratio strikes just the right balance between flavor and vapor making it a great option for Sub Ohm tanks and drippers. Twelve Monkeys have cleaned up the vaping awards for a reason and their latest offering from the Origins collection shows why. A refreshing and crisp blend of two of their long-standing favorites – Galago and Matata – to create a grape, lychee, and apple masterpiece. Tropical with a hint of traditional, it’s another 70% VG juice that drippers will love. For something unique and as alternative as the name would suggest, we recommend Punk from Attitude. This artisan e-liquid manufacturer has a small and carefully crafted selection of liquids. Punk is a creative combination of apple, mango, and guava for an exotic and morish vape. Cosmic Coffee is the wildcard on the short fill list but it’s been making waves with everyone that’s tried it. Served up in a 100ml bottle, this juice would be a highlight to any morning. A booty brew of coffee gives an earthy and intense flavor, mellowed out by caramel vanilla shot and topped off with whipped cream. For those looking for something a little stronger on the nicotine hit or higher in PG to suit mouth to lung tanks, you’ve got plenty of options too. Compact and convenient to take on the go, these 10ml bottles serve up some punchy flavors. A nostalgic classic, Bubblegum Millions is a fruit bubblegum vape. Fruity, sweet and incredibly satisfying. It comes in a 20mg nic salt strength and a 50:50 ratio making it ideal for pod kits and lower powered vape pens. Another added bonus – you can get this one in a short fill too. Summer is so close you can almost see it now and Rio is the perfect nic salt to accompany you on the way there. As you’d expect from the name, it’s a tropical blend of fruit with a cocktail edge – pineapple, mango, and papaya with a soft coconut and cream edge to it. If you’re a fan of the Aspire Gusto, you might have already heard of this one. Hailing from Malaysia, Nasty Juice creates fruity liquids with a signature note for each range. Slow Blow is a part of the Low Mint collection and combines fresh and juicy pineapple, zingy lime soda and a cool mint aftertaste. 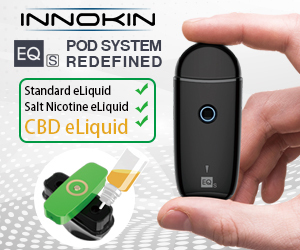 It comes in a 10ml nic salt bottle as well as in the Gusto pods. We couldn’t create a list of top e-liquids to try without a tobacco flavored option and here it is. It’s rich and smoky tobacco with an earthy edge, beautifully combined with an aromatic spicy note. Available in a 6mg, 12mg or 18mg nic salt strength and a 50:50 ratio. Again, a wildcard option to finish the nic salt list off. 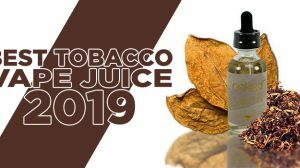 Club Juice is a UK based e-liquid manufacturer, the liquids from their range are 50:50 liquids with freebase nicotine ranging from 0mg through to 18mg. Black Aniseed is a warming blend of tart and sweet blackcurrants with a spicy and licorice note of aniseed to add a unique twist. 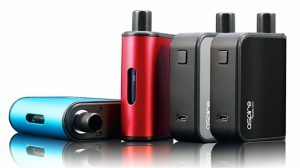 With vaping increasing in popularity all over the world, there’s been a huge rush to cater to the growing market. The benefit of this for vapers is more brands, a huge range of price points and of course – more flavors. You don’t even need to go into a store anymore if you don’t feel like it, you’ve got a whole world of e-liquids to try from a whole raft of different countries. No matter your tastes, you can try a unique flavor combination every day and never run out.